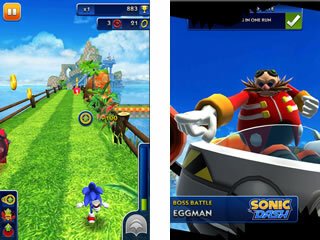 Sonic the Hedgehog is back in action in his new adventure, Sonic Dash! If you’re familiar with the Sonic the Hedgehog franchise, then you know exactly what you’re in for: High quality gaming fun! Who would be a better candidate for such a game than Sonic the Hedgehog himself? Sonic has been around for about 25 years now (wow, I feel old) and his franchise has become a staple to gamers everywhere. Join this classic video game character in the current mobile-game stewardship of his reign with Sonic Dash. Sonic Dash has been considered to be the best Sonic game in the past 20 years. It is basically a Sonic version of the Temple Run genre, but way better than anything else this type of game has produced. And rightly so! Who would be a better candidate for such a game than Sonic the Hedgehog himself? Get this little blue guy to run around and pick up rings in this hot new game. Nothing can beat his speed and agility. It must be the shoes, because real hedgehogs aren’t like that. As you collect the rings, you’ve got to look out for the same foes as we all have over the past decades. Mechanical crabs, flying fish, spikes, and of course, the evil, misanthropic, polluting, all around nasty bad guy, Dr. Eggman! 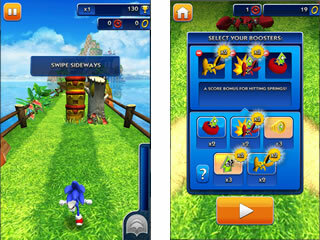 Take a run through the Sonic universe in the three dimensional running adventure, Sonic Dash! This is Sonic Dash review. Download this game here.